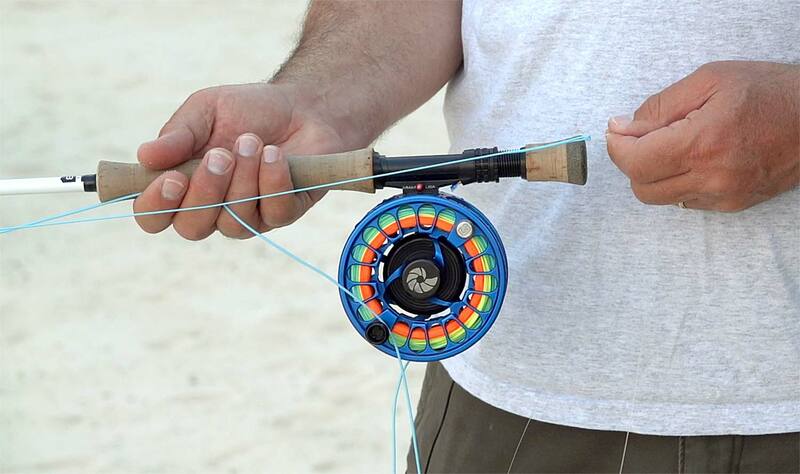 I believe the Ready Position is the most important thing in saltwater fly-fishing. Saltwater fly fishing is all about the fundamentals. Successful anglers are the ones who get the simple stuff right, every time. The best way to maximize your opportunities, and catch more fish, is to have a solid Ready Position. I’ve tried lots of different styles and have come up with what I consider perfect. Spoiler alert: It’s not the way Lefty did it. In this video I’ll show you the details that will help you get your shots off clean every time. No more tangled leaders or flies stuck in your shirt. Just efficient, effective fly fishing. Give it a try and I think you’ll like the results. Watch the video and improve your saltwater Ready Position. This entry was posted in Fly Fishing Tips & Technique, Saltwater Fly Fishing, The Hot Ticket and tagged and catch more fish, is to have a solid Ready Position., The best way to maximize your opportunities by Louis Cahill. Bookmark the permalink. The key to this variation of the Ready Position is that the line is already in the caster’s line hand after the fly release on the first away stroke. Most anglers have learned to hold the fly in their line hand and the line in their rod hand, which necessitates the transfer of the line into the line hand after the fly release — something I’ve watched casters fumble, bumble and completely blow time after time. Thanks Louis for sharing your variation!